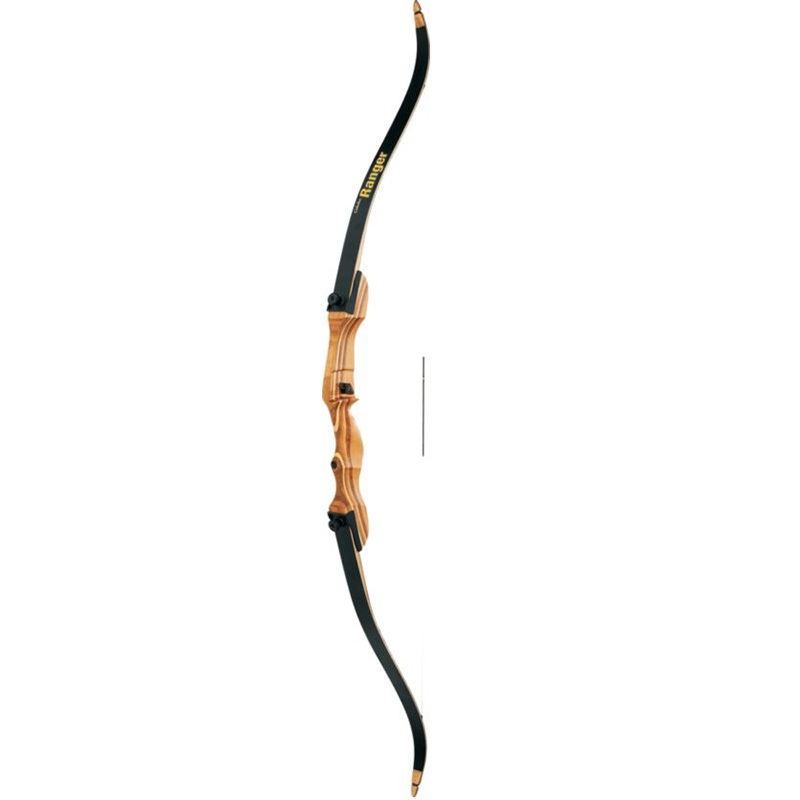 Welcome to my review of Cabela’s Ranger Recurve Bow. This particular model is 62 inches long, and features a gorgeous hardwood riser with wood core and black fiberglass limbs. A takedown bow designed for beginners, this recurve is aimed at getting an older child or young adult a good start in archery. Let’s see how well it performs that task. That’s about it; you don’t get a bowstringer, and the packaging didn’t even include a user’s manual. Granted, you can find everything you need to know via YouTube or this site, but assembly instructions still would have been nice to have included. Is The Ranger a Bear To Assemble? If you’ve never assembled a recurve before, you might be in for a bit of a challenge, since there are no instructions included with the bow. However, it’s really easy once you learn how. All that’s required is to install the limbs onto the riser using the included hardware and an Allen or bow wrench (not included), and then string the bow. Since you don’t get a bowstringer with your purchase, I highly recommend buying one. What Accessories Can I Use With This Recurve? The manufacturer behind Cabela’s Ranger may have designed this recurve for beginners, but they didn’t forget about accessories. The riser is predrilled and includes inserts for a stabilizer and sight, and there’s a hole (but no insert) for a Berger button. I prefer instinctive shooting, myself, but beginners often benefit from a sight, stabilizer, or other accessories to learn the trade. An arrow rest and nock set are preinstalled, but they won’t last long. The arrow rest falls off easily, and the nock set is too small to really be useful. I recommend replacing both, and doing a proper job of tuning your new recurve bow, following our guide. Is This An Accurate And Powerful Bow? Since it’s built for rank amateurs, the Ranger is only available in draw weights of just 25 and 29 pounds. Some have said the pull is actually stronger than that, but I suspect those folks are overdrawing the bow; my scale puts the 29-pound model right at that draw weight. If you aren’t sure how much bow you can handle, be sure to check out our guide on selecting the right draw weight. Accuracy-wise, you can’t ask for much more than this baby offers for the price. Once I had the recurve properly tuned, I was readily laying down 2-inch groupings from 45 yards. It may not be all that powerful, but it’s definitely straight shooting and forgiving of poor technique and handling. Is This Model Suitable For Hunting? Since the maximum available draw weight is a mere 29 pounds, you won’t be taking on deer or any other medium or large game with the Ranger. However, you could probably use it for rabbit or squirrel hunting, since it’s powerful enough to take down those critters and has the accuracy behind it to score kill shots on small game. Will Beginners Be Able To Learn With Cabela’s Ranger? This is a bow designed for beginners. It is quite forgiving of poor stance and technique, includes inserts for the most useful accessories, and is an inexpensive start to archery. The only drawback to someone new to archery is the lack of any included instructions, meaning you either need someone knowledgeable to help you get started or you have to do some heavy-duty research. What Are The Best Arrows To Use With This Bow? Cabela’s does a good job of helping out with arrow selection, but what if you’re ordering online? Since arrow selection is highly dependent on your preferences, size, and what you want to use the bow for, you have some serious choices to make. Be sure to check out our guide on arrow selection to help you along the way. How Durable Are The Limbs And Riser On The Ranger? I was surprised at how durable the Ranger was, and how well it resisted limb twist. Granted, you should always take down a bow when you’re finished using it, but the materials are quite well put together and seem pretty rugged. The arrow rest and serving are another story; the former fell off easily, and the latter began fraying early on. Any Dacron bowstring of the proper length will fit just fine, but you can’t use Fastflight or Flemish Twist strings with the Ranger. It simply doesn’t have the reinforced limb tips that you need for more high performance strings. Since this is a beginner’s recurve, that’s not really a negative point, in my opinion. Is This A Heavy Bow? 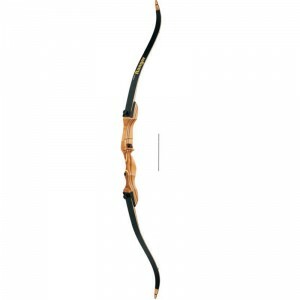 Cabela’s manufacturer didn’t do much to bring down the weight of this bow, so I’d peg it at right around three pounds. Sure, there are heavier recurves out there, but there are also plenty that are quite a bit lighter. With that said, I didn’t notice a lot of fatigue from carrying and using the bow. It fits nicely in the hand, and is low enough on vibration to make it a pleasure to shoot. This isn’t the quietest bow out there, but it’s still pretty quiet and vibration-free. You won’t notice much hand shock on release, and string silencers bring the noise level down even further. As I said in the previous section, this recurve is truly a pleasure to practice archery with. 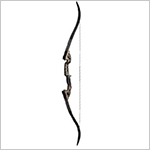 Thanks for reading my review of Cabela’s Ranger Recurve Bow. 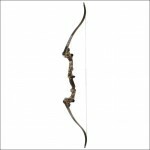 This beginner’s recurve is a great choice, once you get past the negative points. Arrow rests, servings, and nocking points are trivial items to reinstall, so I’d still give this model a strong recommendation for anybody looking to enter (or re-enter) the world of archery. 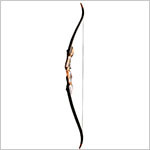 Take a look at current price on the Cabela Ranger Recurve Bow if you’re interested in buying.